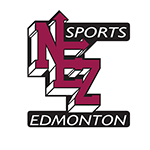 NEZ Sports Councils’ 49th Annual Awards Banquet is on November 3, 2018 at the Kingsway Legion. Over 300 guests are expected to attend and celebrate another year of minor sports in northeast Edmonton and to honor the volunteers who make it possible that so many children may participate in baseball, hockey and softball. Award winners will be posted here after the banquet. The Silent Auction will be held again at this years banquet. Thanks to the Nalesnik Family for organizing this annual fundraiser and thank you to everyone who generously donated the auction prizes. The money raised will go back into the programs for the kids. Mark your calendars for the 50th Annual Awards Banquet and Silent Auction on November 9, 2019.